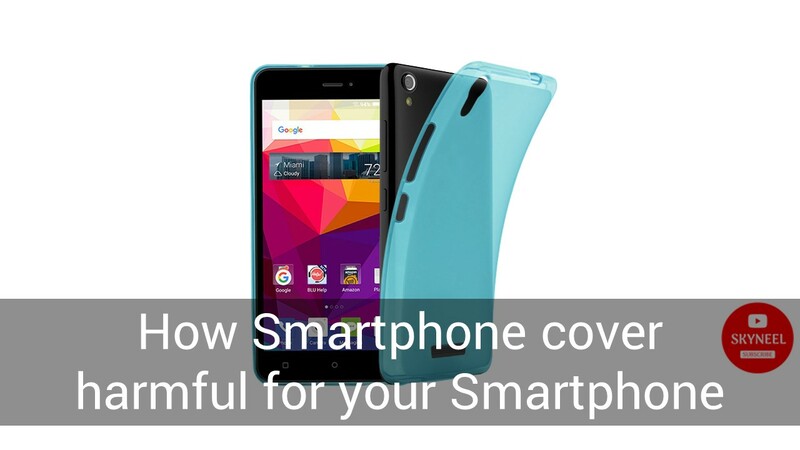 Most users use fancy cover in their smartphones. There are some smartphone covers that protect your phone during breaks. But there are some smartphone cover harmful for your smartphone. Users do not know this thing. Here we are telling you about some smartphone cover harmful for your smartphone. Also, you will also have to take care of what you should take care of when buying a smartphone cover. Many people buy rubber cover for smartphones. They save the phone from breaks while falling. But the phones become very hot in them and the phone is afraid of blasts or bursts. Users should use silicon cover without using rubber cover. It also helps in keeping the phone cool. Leather cover also damages the phone. This makes the smartphone warm so that the phone is likely to get spoiled. If its heat grows, the phone can burst. Most of the phones are made of plastic. These phones save their screen even when it falls. But do you know that the plastic cover can warm your phone too much. Due to continuous work of the phone, the heat generated in the phone could not get out due to a plastic cover. This affects the performance of the phone. The metal cover does not allow the heat to grow in the phone, but these covers also have two problems. First of all, they are not waterproof. If it gets soaked in water it can lead to rust. Also, the phone body also starts getting worse. And it does not save the phone as good as it falls. In this article, we told you about smartphone cover harmful for your smartphone. If you liked this article, you can also like our Facebook page and also subscribe to our YouTube channel. If you have any problems related to this article, you can tell us by commenting.